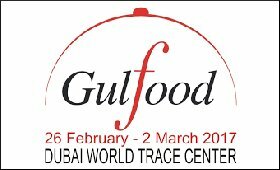 As many as 64 Indian exporters will showcase their agricultural and processed food products at Gulf Food 2017 festival, which starts in Dubai on Sunday and goes on till March 2, an official statement said. "64 exporters are participating under the banner of Agricultural and Processed Food Products Export Development Authority (APEDA) in the Gulf Food 2017 in Dubai from February 26 till March 2," the Commerce Ministry said in a statement on Saturday. The export of APEDA scheduled products to UAE market for the year 2015-16 was $1,371 million, the statement said. The total export of agricultural products for the year 2015-16 was to the tune of $16,195.61 million. India exports agricultural products to more than 80 countries. UAE is a potential market for Indian food products like basmati rice, fresh fruits and vegetables, non-basmati rice, buffalo meat, alcoholic beverages, sheep and goat meat, processed fruits and juices, cereal, miscellaneous processed items, dairy products, milled products, wheat, cocoa products, pulses, other cereals, groundnut, processed vegetables, floriculture, guar gum, etc.